Marco Gianstefani from Milan, Italy, spent two months in Karamea in April and May, 2014. He filmed the township and interviewed its people – in particular those involved in the LivingInPeace Project, founded by local man Paul Murray. Mr Gianstefani had planned to return to Karamea last month to gather more footage and complete the film, Mr Murray said. He went to Perth to fly to Auckland, but because he hadn’t purchased a return ticket wasn’t able to enter New Zealand. He then bought a return ticket and boarded the flight to Auckland as planned, Mr Murray said. When Mr Gianstefani landed in Auckland he was sidelined by an immigration official and “interrogated” for five hours. Mr Gianstefani was tired and English was his second language, so during the interrogation he mistakenly told officers he was a WWOOFer (Willing Worker on Organic Farms). “That was totally the wrong thing to say because of course he didn’t have a working visa,” Mr Murray said. Immigration then “booted” Mr Gianstefani out of the country. Mr Gianstefani had hired a lawyer, and he and Mr Murray were seeking help from Buller Mayor Garry Howard and West Coast/Tasman MP Damien O’Connor to try and overcome the immigration barrier. “It’s a total misunderstanding,” Mr Murray said. In early 2014, Mr Gianstefani was a guest at Karamea’s Rongo Dinner Bed & Breakfast, owned by Mr Murray. Over dinner one night, he told Mr Murray he’d been travelling around the world looking for a place to make a documentary film about sustainable living, Mr Murray said. 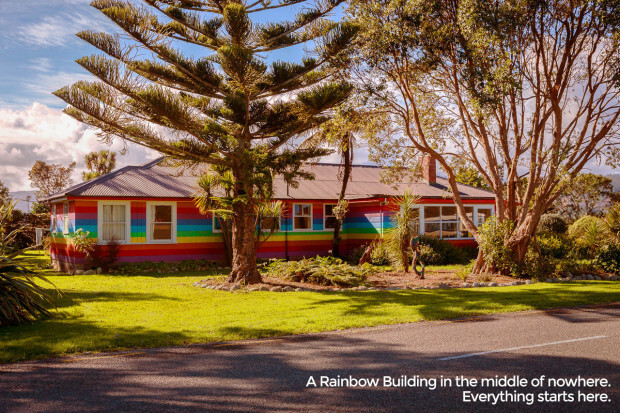 Mr Murray invited Mr Gianstefani back as a resident artist and gave him free accommodation at Karamea Farm Baches for two months. Filming took place around the time of Cyclone Ita – Easter 2014, Mr Murray said. The Living in Peace Project, which aims to incorporate art, travel, permaculture and education into a sustainable business, had peaked Mr Gianstefani’s interest initially, Mr Murray said. Mr Gianstefani then discovered how interesting the wider Karamea community was. “It’s very much about Karamea more than the Living in Peace Project … I guess we’re the main protagonists in the story,” Mr Murray said. After filming, Mr Gianstefani returned to Milan to start the “enormous process” of turning the footage into an 80-90 minute film. Mr Gianstefani was, at one time, the creative director for the largest advertising agency in Italy. “He’s a seriously talented guy,” Mr Murray said. Karamea dairy farmer Brian Jones was interviewed for the film. Mr Gianstefani asked him questions about his occupation and what he thought of Mr Murray and the LivingIng Peace Project, he said. A few locals would no doubt be “disappointed” with how the film portrayed Karamea, he said. The film had the potential to attract more tourism to Karamea, however, it wouldn’t be mainstream tourism, Mr Jones said. The majority of tourists would likely be those seeking/living an alternate lifestyle. 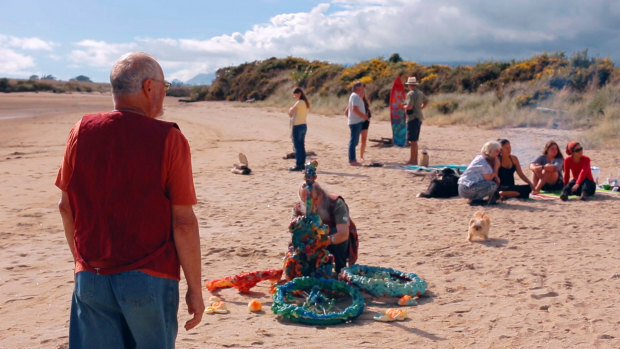 “Karamea” Movie Trailer: KARAMEA – Is this the end of the road? KARAMEA – Is this the End of the Road? 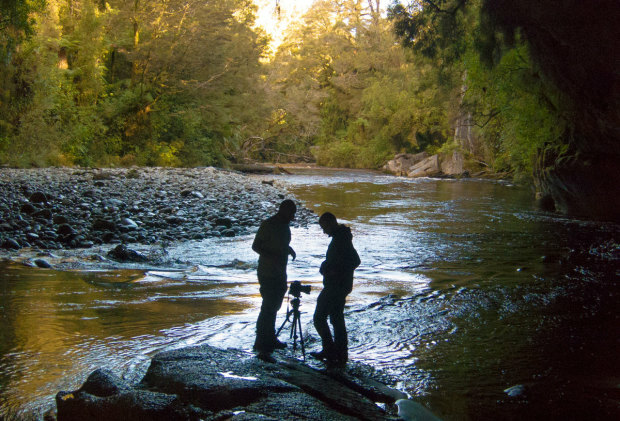 The Karamea documentary movie follows the inspiring journey of a bunch of innovators that have made this community their home, attempting to “change the world” from one of the most remote places on earth. Karamea is a sort of social, economic and ecological experiment where people can touch what really means to live sustainably. They might be far away from mainstream civilisation, but this community is tightly knit and passionate about living the way they choose to. We are funding this project ourselves completely and we need your help to get us over the line. This documentary started by chance. Marco was there as a Traveller, and it started from that feeling of tranquillity and joy you experience as soon as you arrive in Karamea. One of the thing we remember saying to many people were interviewed is: “If we’re only, only able to grab 15% of what it feels to be here, the movie is gonna be really loved ”. That’s precisely why we think this story needs to be told: we want everybody to feel, even for a moment, what is like to be in Karamea. And learn from them. It is only a 3 to 4 hour drive from the nearest point of civilisation as we know it; yet it could be another world. It is the town of Karamea, at the top of the West coast of New Zealand’s southern island. And it’s a place where you can touch what could be the future for the rest of us. 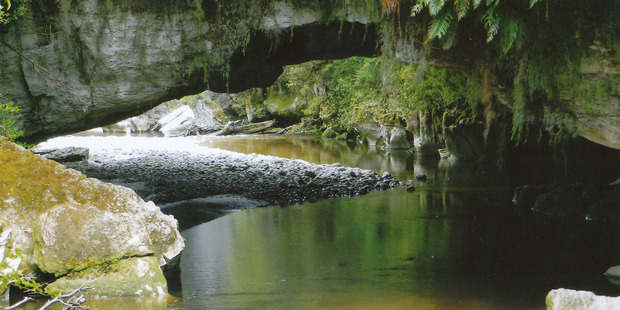 Karamea pops up, literally, “at the end of the road”. It’s precisely 100 kilometres from the nearest town, but is an island of community surrounded by a beautiful, green and lush national park. So, do people really live here? Absolutely. And this is exactly where things get interesting. As the documentary trailer for Karamea says “answers sometimes may be found where least expected”. As we meet Karamea’s people, we realise that they’ve managed to live… a little bit differently from the way most of us do. Instead of just talking about problems, how the world is drifting away or the social theories and ecological systems to save it, they are putting in practice an actual process toward sustainability where everybody takes their part in this “there is another way to live” project. It is simply a philosophy of “quality over quantity” that the people of Karamea practice in every aspect, following the sustainable living playbook their own way. And the results are staggering: prosperity, community, success, and that elusive goal of people in the modern world, happiness. This is not a community of old-fashioned hippies, and there are no communal rules that impose how to live and behave with others. Instead, there is private property, and a economic system based on exchange or barter (either it’s food or work) to cover the majority of people’s needs. With fewer places to use it, money is spent wisely and less frequently, leaving no room for conspicuous consumerism. The pillars of the Karamea lifestyle are also renewable energies, organic agriculture and permaculture design; but it isn’t just about solar power, water supply tanks or “growing your own tomatoes”, is way more. It is such a compelling place that travellers who plan to pass through for a night end up staying for months or years, getting involved in the unpredictable vitality of the town. DJ Marco Gianstefani is a documentary filmmaker and he stayed with us at Karamea Farm Baches, Rongo and the LivingInPeace Project for two months filming the lives of people in Karamea at the top of the West Coast of the South Island of New Zealand. He put together a great radio show featuring 20 songs from 20 different movies…great music here as well as interesting commentary on the movies…enjoy! This entry was posted in 107.5 FM, Art, Artist, Artist-in-residency programme, Bureaucracy, Business, Department of Conservation, DOC, Environment, Environmentally Responsible Business, Heaphy Track, Kahurangi National Park, Karamea, Karamea Estuary Enhancement Project, Karamea Radio, Karamea Radio 107.5 FM, LivinginPeace Project, Marco Gianstefani, Media, Nature, New Zealand, Oparara, Oparara Basin, Paul Murray, Permaculture, Photography, Politics, Power, Radio, Radio Karamea, Resident artist, Rongo, Rongo Backpackers & Gallery, Social Commentary, South Island, Sustainability, Sustainablity, Travel, Uncategorized, West Coast and tagged Art, Doco, Documentary, Documentary film, Film, Immigration N.Z., Immigration New Zealand, karamea, Karamea Farm Baches, Karamea The Movie, LivinginPeace Project, Marco Gianstefani, New Zealand, Paul Murray, Permaculture, Photography, Rongo, Rongo Backpackers, Rongo Backpackers & Gallery, Social Commentary, South Island, Travel, West Coast. Bookmark the permalink.